Maymay Entrata's The Dream concert tickets SOLD OUT in an hour! 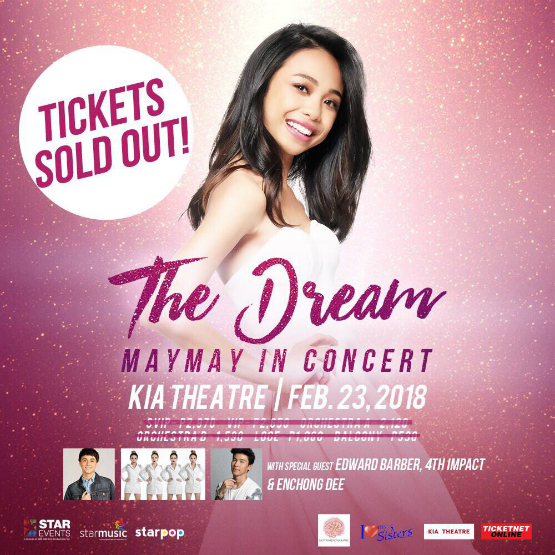 It seems that everyone’s excitement couldn’t be contained as tickets to Star Music artist and Pinoy Big Brother alumna Maymay Entrata’s concert The Dream happening on February 23 at the Kia Theatre are now sold out! It’s not really a surprise that the “Pangarap” singer’s concert tickets would sell like pancakes, but what’s amazing is that the tickets were sold out in just an hour after they were made available. The tickets were put on sale earlier today, February 7 at 4PM, but by 5PM, every last one of the tickets have been sold already. Watch the official lyric video of "Pangarap" below. As a result, it can only be expected that the venue will be filled to the rafters for sure, and you could expect a really loud audience come concert night. Maymay will be joined in the show by special guests Enchong Dee, 4th Impact, and of course, Edward Barber for a sure-to-be memorable evening. 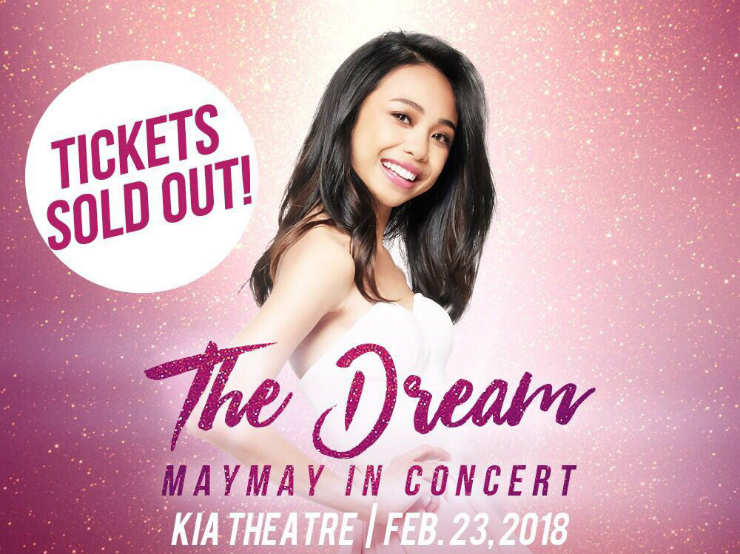 Were you able to buy tickets for Maymay's The Dream concert? Tell us in the comments section! Oh no! True Faith, victims of theft?